Timber floor drying? You don’t have to rip them out. Dry them professionally! 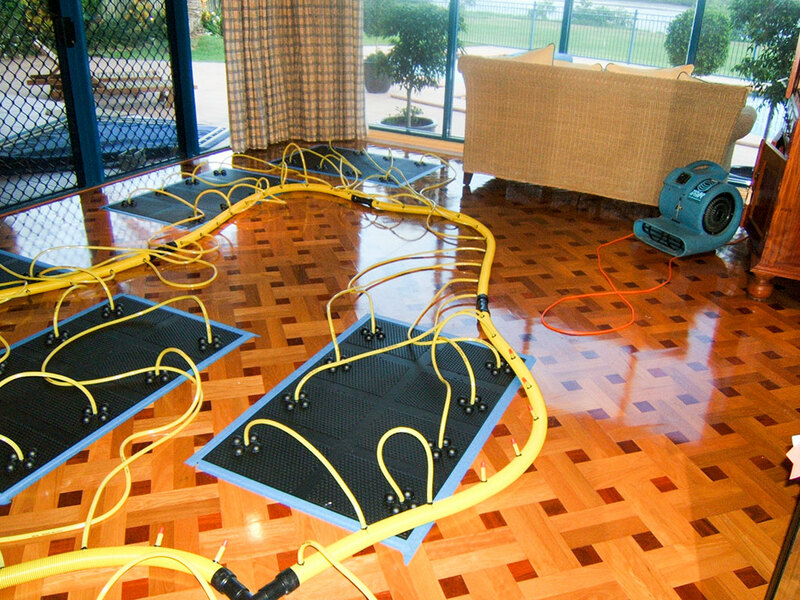 If you have suffered water damage from a clean water source your timber floors can be dried without removal. The biggest problem with timber flooring after being flooded is cupping or crowning. Cupping occurs after the timber board has a high moisture content on the underside and a lower moisture content reading on the top side of board. It happens when the timber board has contact with ‘wet'(over 5.5%) concrete slabs or by flooding of a room with trapped moisture underneath. 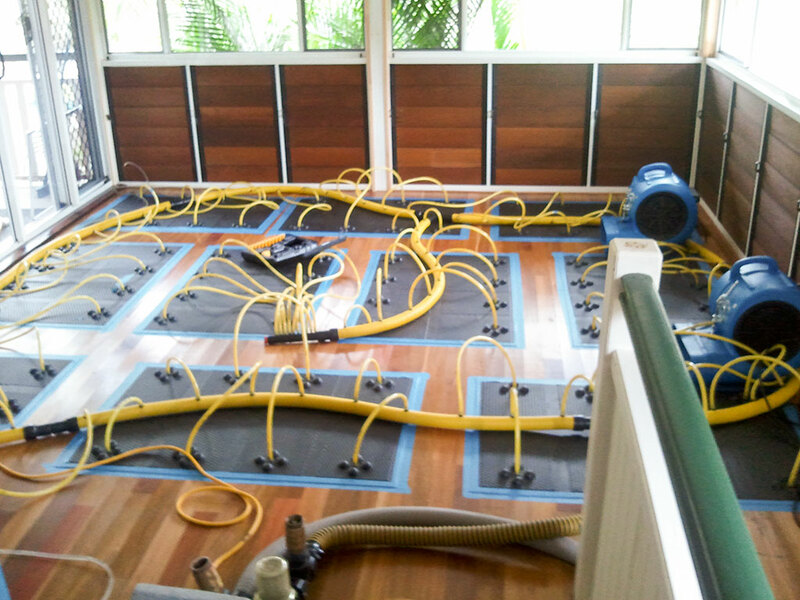 We draw upon years of experience and North Queensland’s largest range of timber floor specialist equipment. 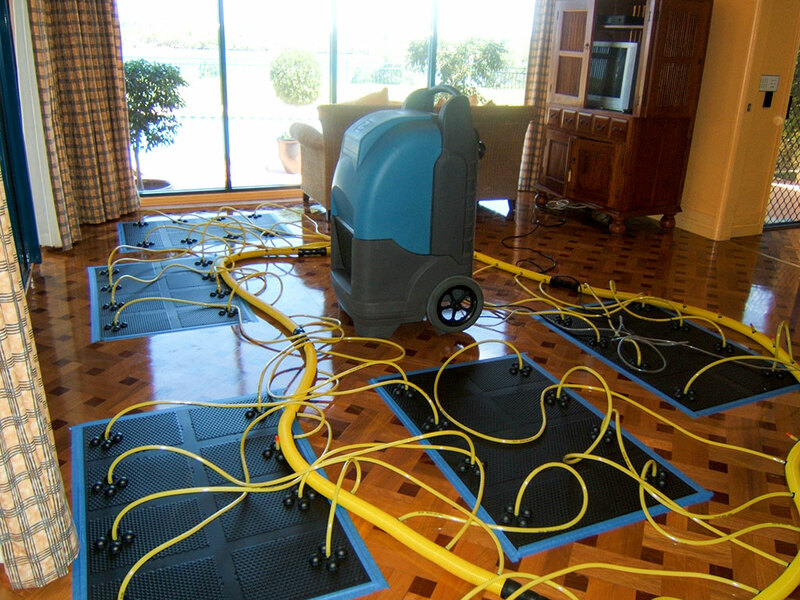 Our company is able to deploy state-of-the-art drying equipment combined with the most advanced dehumidification techniques to reduce drying time and save money! Our company uses a method incorporating the Injectidry with floor platelet sytems. These floor platelets are placed over the timber floor and using negative pressure the timber floor is dried at a managed pace. 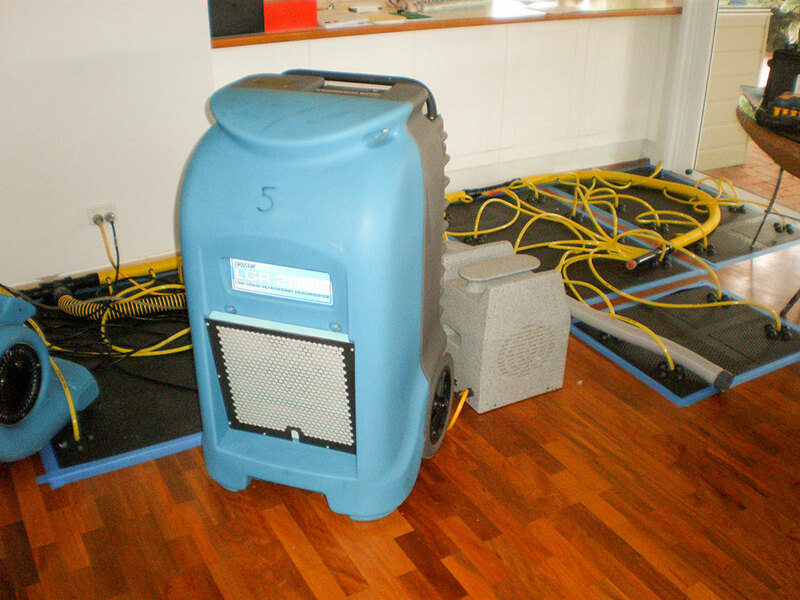 Using dehumidification and correct air quality control, we have dried floors to such a successful point they have NOT even needed sanded and resealing! As with all restoration after floods, the quicker you respond, the better the outcome. So if your floors are professionally dried using the appropriate equipment, cupping and crowning can be prevented or be restored. Our trained technicians can consider the correct way of dealing with your floor, dry it and get it ready for inspection by either your timber floor refinisher or assessor.